What Schooling to you Need to be a Heavy Duty Mechanic? Heavy duty mechanics maintain, service, and repair heavy duty machines and vehicles used in transportation, construction, or farming industries. Examples include semi-trucks, bulldozers, buses, tractors, and cranes. Their primary duties include diagnosing parts, testing components, making repairs, and replacing parts. The nature of their work is characterized by heavy lifting, working in awkward positions, and often working in noisy shop areas. Heavy duty mechanics can also work outdoors. To be an effective heavy duty mechanic, you need physical strength, manual dexterity, and mechanical and troubleshooting skills. Getting on-the-job training and working your way up may sound easy enough. Well, in the past, that could have worked. However, “blue-collar” jobs these days are giving way to a level of professionalism like never before. With advancements of technology comes the need for advanced education and training. A heavy duty mechanic with proper formal training is able to understand the possibilities of a mechanical challenge. And since every skilled trade is a business, formal education can give you a competitive edge since you will be in a position to also apply business and marketing and marketing techniques to your job duties. What Education Do You Need to be a Heavy Duty Mechanic? Typically, no formal education of licensing is required to qualify as a heavy duty mechanic. In the past, most mechanics joined the profession as assistants and learned progressively on the job. This method typically requires 3 to 4 years of training before an individual can be considered eligible for an entry-level position as a mechanic. 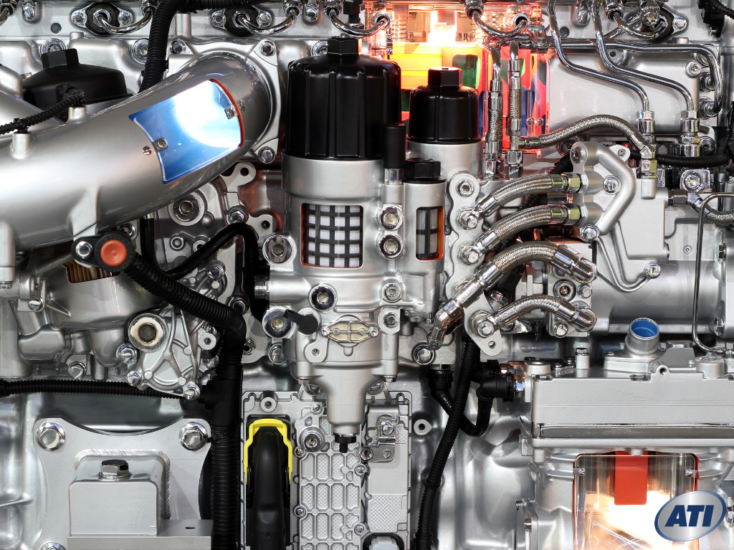 Technical schools, vocational schools, trade schools, and some community colleges offer programs in heavy vehicle technology. An associate’s degree program in heavy vehicle technology, for instance, combines hands-on experience and classroom instructions. An aspiring heavy duty mechanic can complete formal training in 1 to 2 years. With formal training, students acquire skills on how to diagnose and repair different types of heavy duty machines and vehicles. The course should cover Troubleshooting, Accounting, brakes, Advanced Heavy Vehicle Systems, Computer Applications, Drivelines, Diesel Fuel System, Hydraulic System, Four Stroke Diesel Engines, Preventive Maintenance, Service Management, Steering Alignment, Heavy Vehicle Electrical and Electronics, Electronics and Diagnostics Repair, Environmental Control Systems, Fuel systems, Technological Applications, Industrial Psychology, Technical Writing, and Communication. Successful completion of an associate’s degree program in heavy vehicle technology prepares graduates for entry-level positions in the heavy vehicle industry. After completing the practical course, the next course will be on Service Management, where students learn business management, communication skills, financial skills, customer relations, and employee relations. Completion of this course could enable one to make rapid progress through the profession. What’s more, graduates are also equipped to start their own businesses. Whether it’s in construction or agricultural setting, an internship offers aspiring heavy duty mechanic the opportunity to work with different types of heavy duty machines and vehicles. This helps them apply skills earned through formal training in a real-world environment. An internship might help one select an area of specialization in order to develop and build expertise. Earning the ASE certification could increase your hiring potential. Working in a real-world heavy duty technology setting can also serve as a form of training from your employer. During this time, you will work with experts such as trainee technicians, lubricant workers, or automotive helpers. An entry-level position also helps you to master the art of working independently as well as part of a team. Why is it Vital to Have Formal Education? 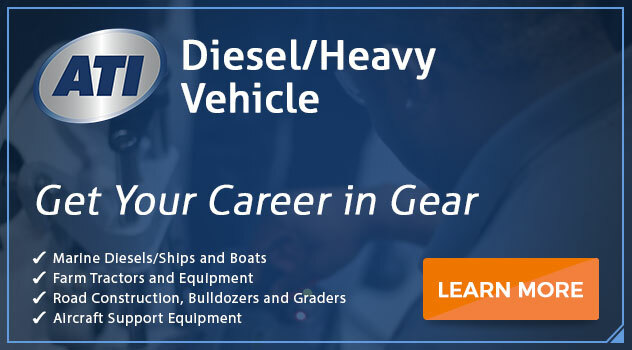 Due to the increasing technological complexities of modern heavy duty engines and to the changing industry standards, most employers prefer hiring heavy-duty technicians with formal education and hands-on experience. In addition to preparing you for the technical rigors of the profession, formal education will further equip you with highly marketable management skills. It also helps you complete your coursework with more knowledge that will make you eligible for an entry-level position as a heavy duty mechanic. The technical coursework equips you with diagnostic and repair skills while the management part allows you to acquire high-quality customer service principles. If you’re interested in a career as a heavy duty mechanic, consider enrolling for ATI’s Associate of Occupational Science in Heavy Vehicle Technology with Service Management. To learn more about the program, connect with ATI today and speak with a helpful admissions counselor. What is Heavy Vehicle Mechanic Education Like in Hampton Roads? What Schooling Do You Need to be a Heavy Duty Mechanic in Virginia? Heavy Vehicle Mechanic: Can You See Yourself in this Career in Hampton Roads?